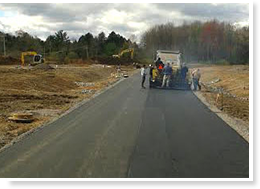 Cornelius Asphalt, of Mohawk, NY, is provides a complete list of asphalt, concrete, and blacktop paving services to clients throughout the Mohawk Valley and Upstate New York. Whether your driveway is crumbling and needs to be repaved or the parking lot at your business needs new walkways, call the specialists at Cornelius. We offer a 10% discount for customers 65 years and older. Asphalt, Concrete, Blacktop, Seal coating, striping (paint lines in the parking lot or in the roads) grading and excavating as well. © Cornelius Asphalt. All Rights Reserved.